The 14th Street vertical garden project is a colorful and playful addition the the streetscape of the Mission District, an area know for it murals and street art in San Francisco. 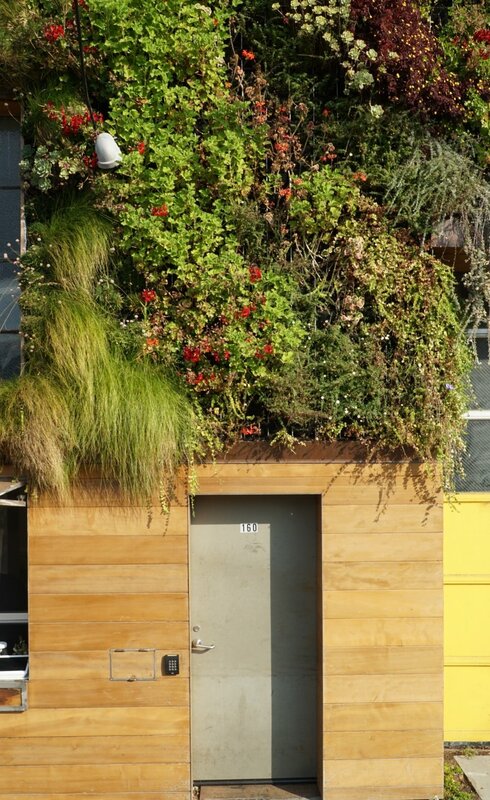 With no actual in-ground gardening space on the site the front facade of the building became alive with a 30' by 40' living wall. The South facing direction of the wall was an opportunity to use a plant pallet that was full of color and flowers, bringing humming birds and butterflies back into the concrete jungle. A unique feature of the design is the 4000 liter water collection tank buried under the garage that captures the roof's rain water runoff and uses it to water the plants. 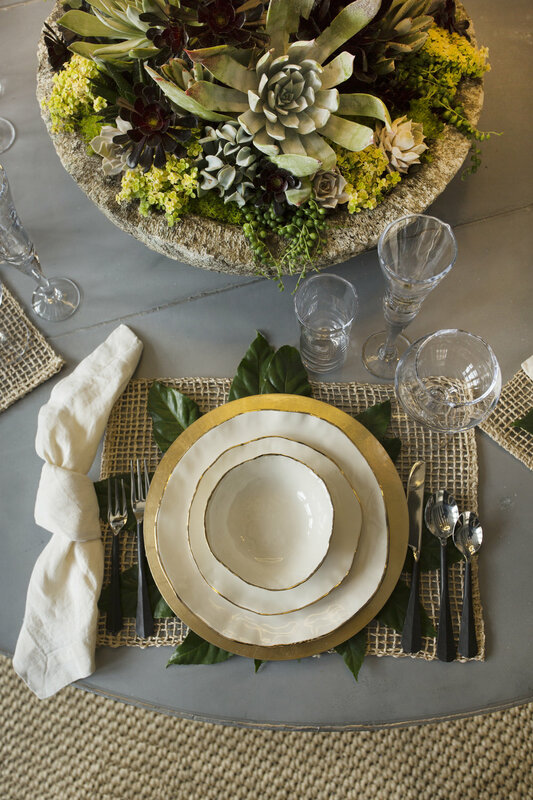 This project was a collaboration between Brandon Pruett and Amanda Goldberg from Planted Design. This project received a Platinum International Plantscape Award by AmericanHort in their "Design" category. Design and project management of high end corporate interior plant installation with custom wood planters planters on casters and large scale interior plantings. This project was a collaboration with Terra Ferma Landscapes who built the greater landscape for this residence. We wanted to make a focal point at the end of the pool that would become an art piece within the landscape. The wall is in full sun, so we had the opportunity to use succulents, silver dichondra, and armeria in color block form. When the oscularia and armeria bloom, certain rectangles will flash a showy pink while other stay a silver green year round. Here is the process and final product of this project. We do our best work in collaboration with Designers, Architects and Contractors who need help designing the technical aspects of vertical gardens or commission us to create an art piece with plants within their projects. Krisitin Riccio, owner of Greene and Grey brought in Brandon during his time at Living Green Design to create this green wall for a SF office. 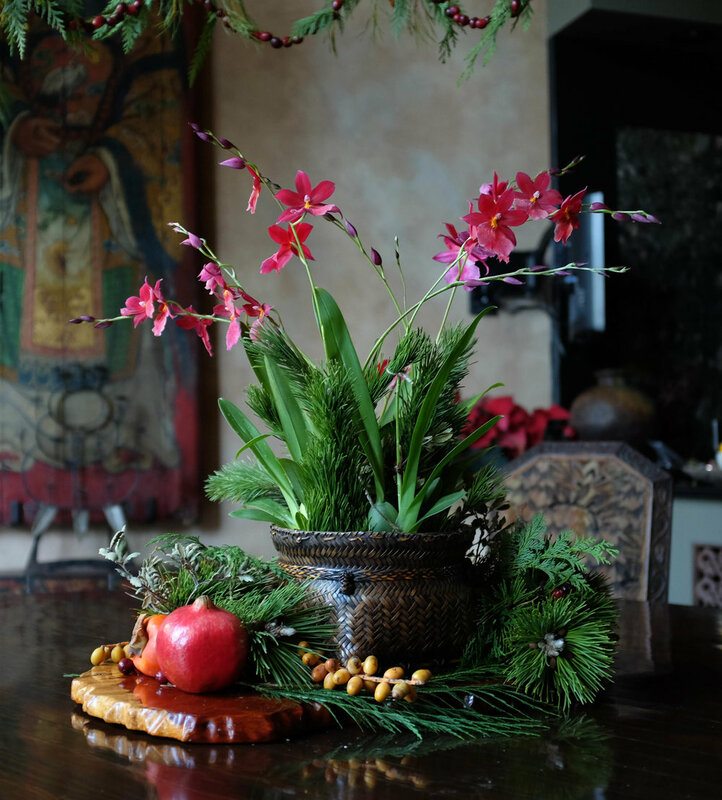 Artisanal holiday trimmings and decor using all fresh material for high-end residential and corporate spaces. These projects were created while working as Lead Designer at Living Green Design. I was involved in the early stages of planning and building out the space of a large emporium called Public Market in Emeryville, CA. As the lead project designer with Living Green, I designed and installed this 40 foot interior plant wall that significantly softens this large public space. The benefits of having this giant living art piece in the space is much more than visual. The wall acts as an acoustic barrier that greatly absorbs sound and makes the interior space more inviting and hospitable to the hundreds of customers that use the space daily. 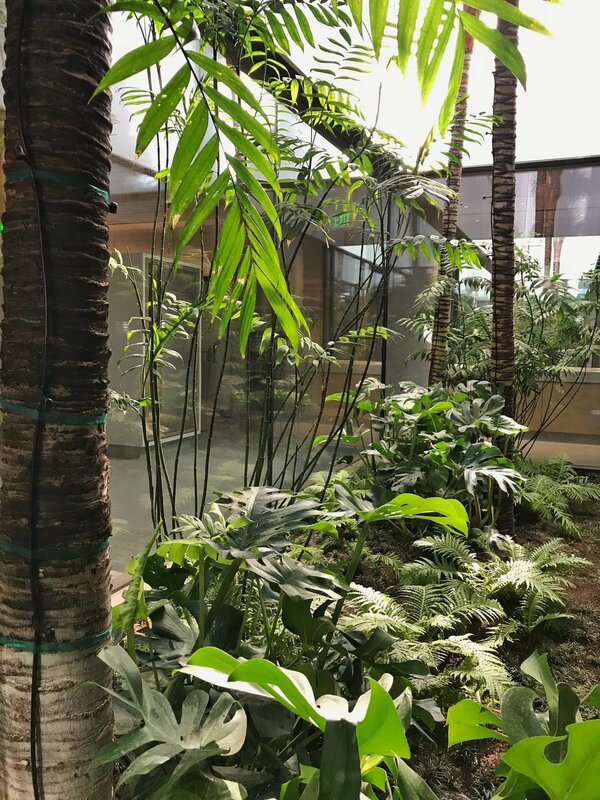 The design uses plant material that can be successful indoors for long term, like ferns and tropicals that can tolerate low light conditions. This wall of 1200 plants is flourishing!